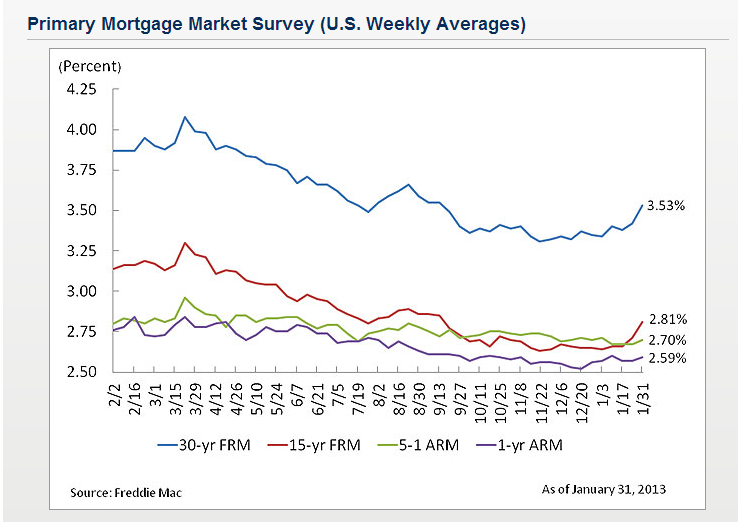 February 2013-"Mortgage rates continued to trend upwards this week amid a growing economy led in part by the recovering housing market. For instance, new home sales totaled 367,000 in 2012, the most in three years and reflected the first annual increase in seven years. 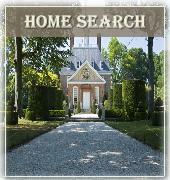 Pending home sales in 2012 averaged its highest reading since 2006. And the S&P/Case-Shiller® 20-city composite house price index rose 5.5 percent over the 12-months ending in November 2012, the largest annual growth since August 2006. All of these factors helped residential fixed investment to add nearly 0.4 percentage points to real GDP growth in the fourth quarter alone." Freddie Mac released their results showing mortgage rates continuing to trend higher amid a growing economy led in part by the recovering housing market. This marks the first week the 30-year fixed-rate mortgage has averaged above 3.5 percent since September 13thof last year. The all-time record low for the 30-year fixed was set the week of November 21, 2012, when it averaged 3.31 percent. 30-year fixed-rate mortgage averaged 3.53 percent with an average 0.7 point for the week ending January 31, 2013, up from last week when it averaged 3.42 percent. Last year at this time, the 30-year FRM averaged 3.87 percent. 15-year FRM this week averaged 2.81 percent with an average 0.7 point, up from last week when it averaged 2.71 percent. A year ago at this time, the 15-year FRM averaged 3.14 percent. 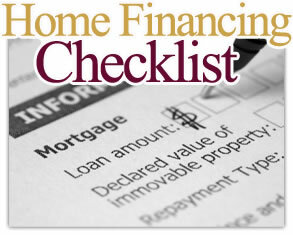 Want to chat about mortgage options, rates, VA Loans, FHA, Reverse Mortgages, Conventional Loans or getting approved ? Contact me and I will put you in touch with one of our prefferred lenders.